Medi-Cal and the Family Home - Joseph Ferrucci, Attorney at Law P.C. But did you know that Medi-Cal can demand or “recover” some of the money it spent on your health care from your estate after your death? And if there is not enough cash in your estate, your home may have to be sold to cover the bill. This process is usually referred to as “Medi-Cal recovery.” Fortunately, if you do some simple estate planning, you can protect the family home and your life savings from Medi-Cal recovery. Alternatively, regardless of income, you can obtain Medi-Cal if you are under 21 or over 64 years old, or if you are blind or disabled, but then the $2,000 asset limit applies. (3) Certain assets are not counted toward the asset limit, such as your personal residence, one motor vehicle, personal effects and household items, and individual retirement accounts (“IRAs”). (4) But if your remaining “countable” assets exceed $2,000 in value, you will not be able to obtain Medi-Cal coverage. 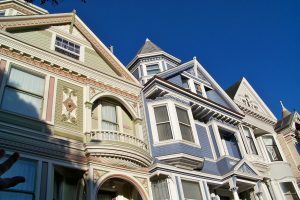 Because of Medi-Cal expansion and the Medi-Cal asset rules, it is possible for someone to own a very valuable asset, like a family home inherited from a parent or grandparent, but still be able to qualify Medi-Cal. Another way to think about it is that you do not have to sell your home or transfer your home to your children to qualify. The downside, however, is Medi-Cal recovery. If you own your home, holding title in your name, and then you pass away, the home will be subject to Medi-Cal recovery. Before 2017, the State could recover against the estate of a Medi-Cal recipient who received any Medi-Cal benefits at age 55 or older, or who received Medi-Cal nursing home benefits at any age. Recovery could be sought from any assets held by the Medi-Cal recipient during his or her lifetime, including assets in a living trust and assets held in joint tenancy. 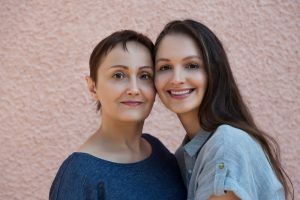 If the Medi-Cal recipient was married or partnered, the State could not recover from the recipient’s estate, but after the recipient’s surviving spouse or registered domestic partner died, the State could recover from anything in the survivor’s estate that was inherited from the deceased recipient. Benefits received for nursing home care, Home and Community Based services, and related hospital services and prescription drug costs, at age 55 or older. Recovery can only be obtained against assets subject to probate in California. Recovery is prohibited against the estate of a surviving spouse or registered domestic partner of a Medi-Cal recipient. The State must waive a claim as a substantial hardship when the estate has a homestead of modest value, defined as having a fair market value of less than 50% of the county average. Also, the new laws require a State to provide a Medi-Cal recipient, or his or her representative, a statement of recoverable Medi-Cal expenses upon request. Request a Medi-Cal recovery statement. The statement can inform you of your estate’s exposure to a recovery claim, which can help you with making decisions for your estate plan. Keep in mind that the statement is only a current snapshot. Future health care needs can increase the figure significantly, particularly if you end up needing nursing home care. Get an estimate or appraisal of your home value. Because a “modest value” home is eligible for a substantial hardship waiver from recovery, consider getting an informal estimate (or alternatively a formal appraisal) of your home value if you think it might qualify for the waiver. But do not assume that the house is of “modest value” just because it has deferred maintenance. In California’s urban areas, the combined effects of a housing shortage and a booming economy make even fixer-upper homes very valuable. Set up a Revocable Living Trust. Revocable living trusts have been used for decades in California to avoid probate. Most people prefer to avoid the cost, burden, and delay of probate proceedings. Because Medi-Cal recovery is now limited to assets in probate, a revocable living trust now has the added benefit of keeping assets out of Medi-Cal recovery. To set up a revocable living trust, consult with your attorney. Critically, once the trust has been established, make sure to transfer your assets into the name of your trust. During life, a typical revocable living trust does not limit what you can do with your assets. You still can use the trust assets at any time for any purpose, and you can revoke or amend the trust at any time. Complete and submit beneficiary designation forms. If you have retirement plans, life insurance policies, or annuities, make sure to complete and submit beneficiary designation forms. You can name individuals, charities, or your revocable living trust as beneficiaries. If you fail to make beneficiary designations, such assets may become distributable to your estate, which may make them subject to probate and Medi-Cal recovery. Use gifting and joint tenancy with caution. Non-countable assets, like your principal residence, can be gifted to a relative or friend during life without affecting Medi-Cal eligibility. And then the same assets will avoid Medi-Cal recovery after death. But gifting raises significant tax issues, such as gift tax filing, property tax reassessment, and future capital gains tax. It also raises the issue of whether the Medi-Cal recipient will continue living in the residence, whether rent will be paid, what other terms and conditions will apply, who will make decisions about the residence, and who will be responsible for property expenses, repairs, maintenance, and improvements. Adding a co-owner to an asset as a joint tenant also will keep it out of probate, because joint tenancy comes with a right of survivorship, but joint tenancy raises some of the same tricky issues as gifting. A first party special needs trust does NOT avoid recovery. What if you already established a first party special needs trust to become eligible for Medi-Cal or other public benefits? Can you transfer your home to the special needs trust, instead of setting up a revocable living trust? A special needs trust is very different from a revocable living trust. Whereas assets in a revocable living trust are exempt from Medi-Cal recovery, the assets in a special needs trust are not exempt. Transferring a principal residence to a first party special needs trust will therefore make it subject to recovery. If you have a special needs trust, consult with your attorney to decide how to plan for Medi-Cal recovery. By updating your estate plan, you can save the family home and your life savings from Medi-Cal recovery after death. Your loved ones will thank you for it. If you have Medi-Cal, or if you are considering enrolling, consult with your attorney about what estate planning is right for you. (1) California Department of Health Care Services, “November 2017 Certified Eligible Statistics – Medi-Cal Population,” http://www.dhcs.ca.gov/dataandstats/statistics/Documents/Fast_Facts_Nov2017_Tables_ADA.pdf, November 2017. (2) Larger households have higher income thresholds. See California Department of Health Care Services, “Do You Qualify for Medi-Cal Benefits?,” www.dhcs.ca.gov/services/medi-cal/Pages/DoYouQualifyForMedi-Cal.aspx, February 21, 2018. (3) Certain other groups can obtain Medi-Cal as well. Id. (4) See California Department of Health Care Services, “Medi-Cal General Property Limitations,” www.dhcs.ca.gov/formsandpubs/forms/Forms/MC%20Information%20Notices/MC007ENG(0414)pdf, February 21, 2018. © 2018 Joseph Ferrucci, Attorney at Law P.C.